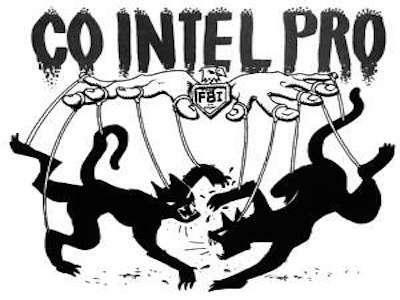 The 21st century surveillance system, however, is substantially more dangerous than that of the 20th century Counter Intelligence Program, known by the acronym COINTELPRO [1956 to 1971], in which the government manufactured criminal attacks against civil rights and peace activists, such as Dr. Martin Luther Kings, Jr,, the Black Panther Party, NAACP, etc. The efficiency and speed of data collection and the effectiveness of government secrecy and terror programs would make the civil rights era surveillance programs seem Paleolithic. These national security windfalls catch everyday citizens exercising their First Amendment rights. I attended the Washington, DC – Chinatown demonstration, referred to above, along with other BlackLivesMatter activists who have been profiled in BAR. * restrict the ability of individuals to participate in group activities. Without high-speed computation, 21st century satellite imagery, social media and other technological advances, the FBI and other spy agencies were inefficient and slow. Perhaps, one of the benefits of “old school” organizing was the lack of social media (a tool that has been thoroughly compromised by government and corporate surveillance,) that allowed civil rights leaders to develop strong personal relationships that included levels of accountability rooted in social institutions. Additionally, informal networks were strengthened, among civil rights activists in order to circumvent the intentions of an openly hostile and racist government. Government surveillance of the BlackLivesMatter movement poses new technological and social terrain challenges. New strategies and tactics are required to exchange information among groups and new modalities are required to circumvent infiltration and, ultimately, government sting operations. The BlackLivesMatter movement is being taken seriously by those invested in thought control and African political suppression through fear. We are confronted with a government that tracks our whereabouts, our purchasing preferences and our communications. More importantly, the government through its surveillance program seeks to instill fear into the Black resistance movement as it courageously raises the mantle of liberation. Dr. Marsha Coleman-Adebayo is the author of No FEAR: A Whistleblowers Triumph over Corruption and Retaliation at the EPA. She worked at the EPA for 18 years and blew the whistle on a US multinational corporation that endangered South African vanadium mine workers. Marsha’s successful lawsuit led to the introduction and passage of the first civil rights and whistleblower law of the 21st century: the Notification of Federal Employees Anti-discrimination and Retaliation Act of 2002 (No FEAR Act). She is Director of Transparency and Accountability for the Green Shadow Cabinet, serves on the Advisory Board of ExposeFacts.com and coordinates the DC-based Hands-Up Coalition.